Over 41,000 gazetted and non-gazetted posts are lying vacant in 37 government departments in Jammu and Kashmir, with over 14,750 posts referred to recruiting agencies in the last two years, a senior official said. 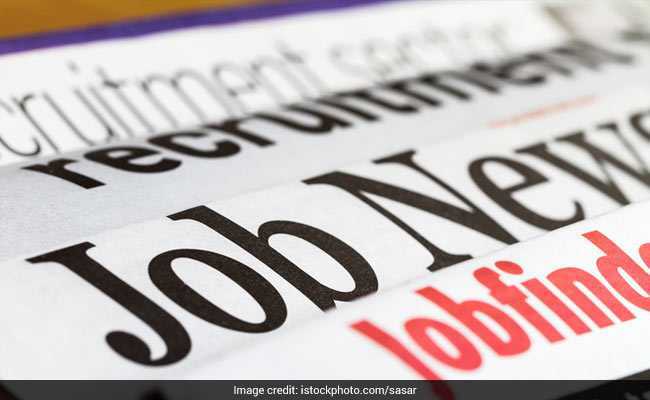 Jammu: Over 41,000 gazetted and non-gazetted posts are lying vacant in 37 government departments in Jammu and Kashmir, with over 14,750 posts referred to recruiting agencies in the last two years, a senior official said. A total of 41,147 posts -- 6034 gazetted and 35113 non- gazetted -- stand vacant to-date in 37 departments with School Education department leading with 2153 gazetted and 9448 non- gazetted vacancies, the official said. There are 1109 gazetted and 332 non-gazetted posts available in higher education department, 568 gazetted and 1542 in Ladakh affairs, 512 gazetted and 186 non-gazetted posts in General Administration department and 268 gazetted and 970 non-gazetted posts in Agriculture production. As many as 177 gazetted and 772 non-gazetted posts are lying vacant in Public Works (Roads and Buildings), 167 gazetted and 315 non-gazetted in power development, 159 gazetted and 1341 in rural development and 118 gazetted and 6704 non-gazetted in home department, the official said. He said cooperative department accounted for 115 gazetted and 244 non-gazetted vacancies, forests (100 gazetted and 1549 non-gazetted posts), Tourism (98 gazetted and 335 non- gazetted), Planning and development (89 gazetted and 328 non- gazetted), Horticulture (63 gazetted and 480 non-gazetted), Labour and Employment (46 gazetted and 280 non-gazetted) and Finance (45 gazetted and 1194 non-gazetted). Vacancies in Industries and Commerce include 43 gazetted and 757 non-gazetted, Law, Justice and Parliamentary Affairs (38 gazetted and 69 non-gazetted), Protocol (30 gazetted and 34 non-gazetted), information (30 gazetted and 309 non- gazetted) and Science and Technology (27 gazetted and 68 non- gazetted), he said. The spokesman said 17 gazetted and 161 non-gazetted posts are lying vacant in Transport department, 12 gazetted and 55 non-gazetted in culture department, 11 gazetted and 85 non- gazetted in election department, eight gazette and 61 non- gazetted in tribal affairs, six gazette and 347 in technical education, four gazette and 1109 non-gazetted in youth service and sports department, among others. Three gazette and 310 in food, civil supplies and consumer affairs, three gazette and 68 non-gazetted in Estates, two gazette and six non-gazetted in floriculture, gardens and parks department and one gazette and 41 non- gazetted in Administrative Reforms, Inspections and training department, he said. No gazetted or non-gazetted vacancies are available in three departments - disaster management, relief, rehabilitation and reconstruction department, information technology department and social welfare. There are no gazetted posts vacant in health and medical education, Public Health Engineering and Irrigation and Flood control department and revenue. However, 1128 non-gazetted posts are lying vacant in health and medical education, 1633 in PHE and flood control and 1932 in revenue department, the official said. He said the government has referred 14766 posts to recruiting agencies during the past two years.These included 6039 posts referred to police recruitment board, 5937 to service selection board and 2790 to public service commission. The officer said PSC has made 3,290 selections during the past three years, while the SSB has made 10,464 selections in Jammu division and 6552 selections in Kashmir division during the same period.